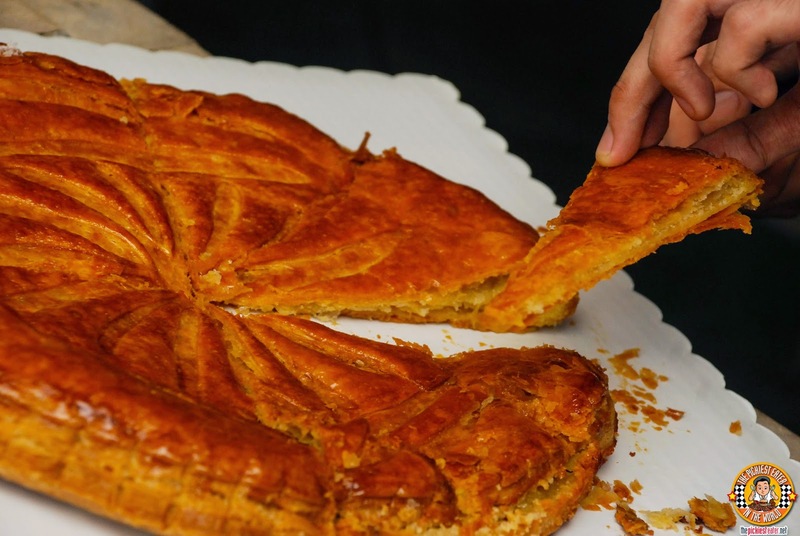 THE PICKIEST EATER IN THE WORLD: BRASSERIE CICOU & THE KING CAKE! Being a food blogger by no means makes me an expert on food. If anything, it has only reaffirmed that I have so much to learn when it comes to different types of cuisines. 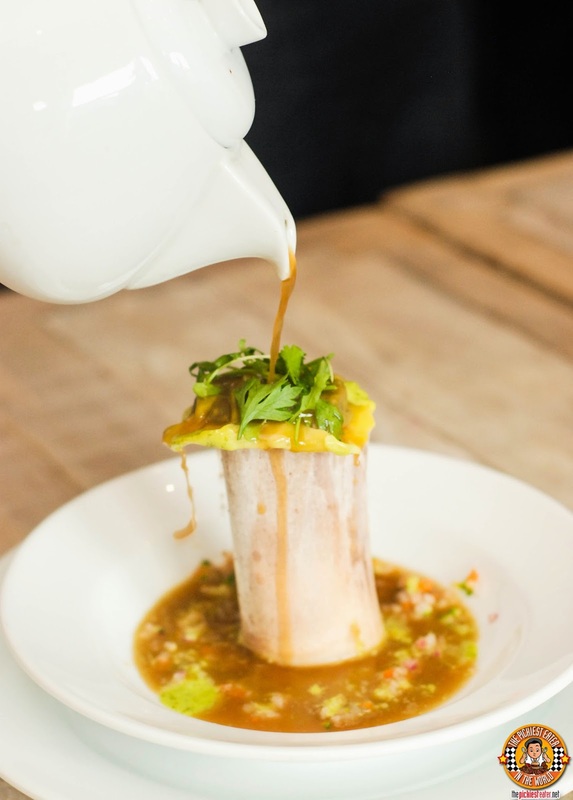 Although I admit, I'm more particular to the no-frills American style of cooking, I recently had a dining experience that left me dumbfounded. The intricacies of French cuisines have always intimated me. I am often worried that the complexities of the dishes would overwhelm me and my self declared pickiness, but a trip to Brasserie Cicou changed all that. 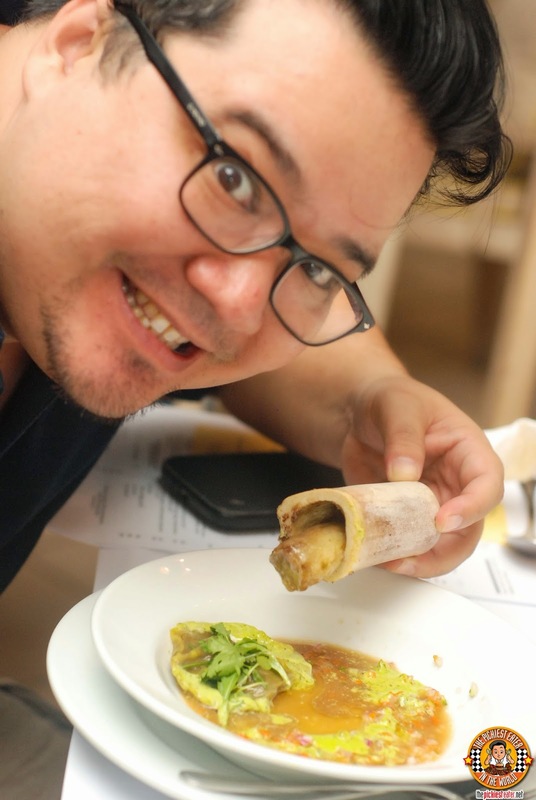 Not only was I given a master class in French cuisine by none other than world renowned French Chef, Cyrille Soenen, but I was also educated in a French Holiday tradition that made our lunch even more fun! 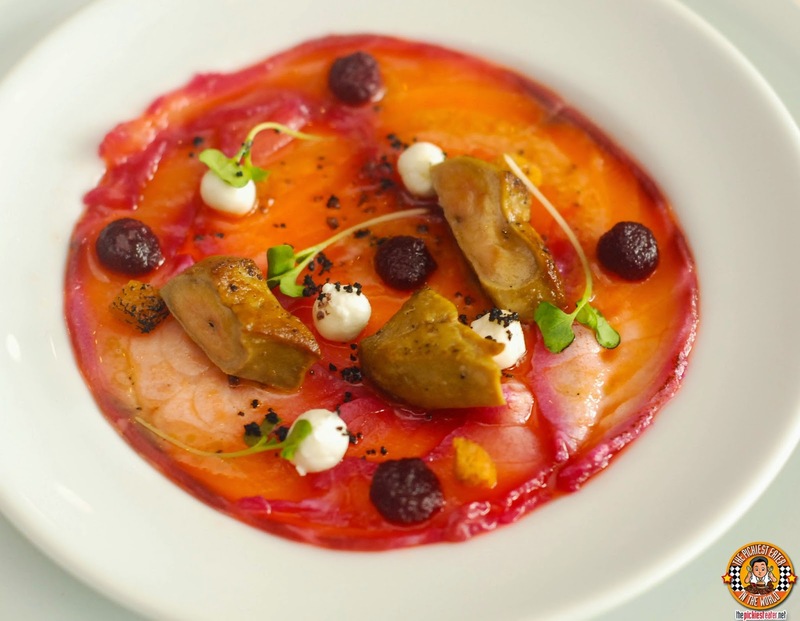 Starting from swanky hotels in Paris, and making his way around several Michelin Starred restaurants around the world, Chef Cyril Soenen was named named Executive Chef of Intercontinental Hotel Manila's iconic Prince Albert Rotisserie. 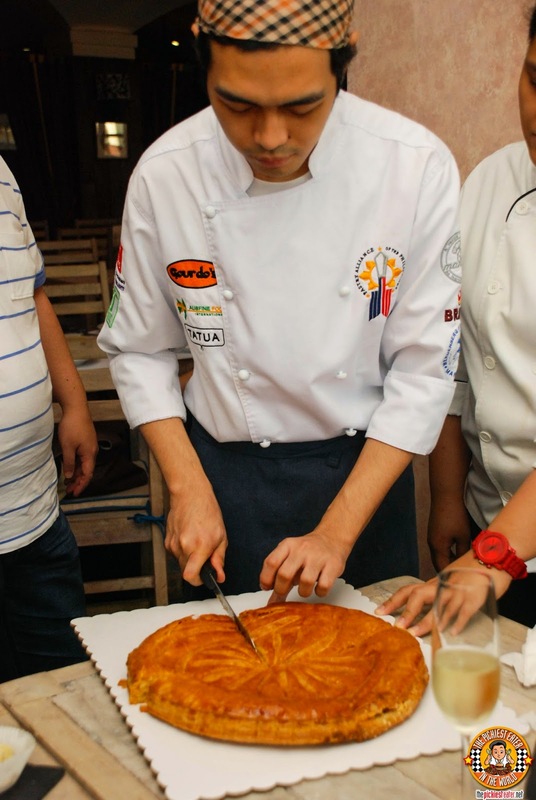 Chef Cyrille has moved on from the hotel scene, and has done what many have been clamoring him to do for quite some time.. Bring an authentic French restaurant to our shores. And that's exactly what Brasserie Cicou does. What I enjoy about Brasserie Cicou is the relaxed vibe. You hear, "French Restaurant", I immediately think a stiff, coat and tie place with piped in orchestra music and Maitre' D in a penguin tuxedo standing behind you with a bottle of wine, ready to refill your glass even if you take the slightest sip. This is not the case at Brasserie Cicou. 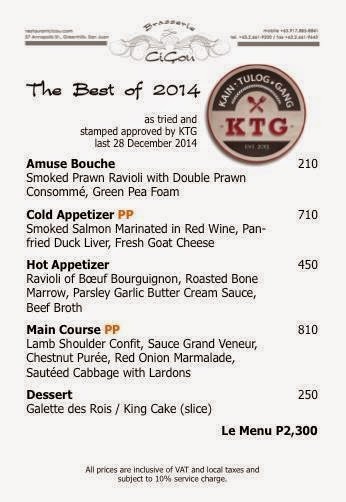 For this outstanding year ending feast, we were served a menu that Chef Cyrille dubbed, "The Best of 2014". For the meal's Amuse Bouche, we were served a small ramekin with a cover on top, with specific instructions not to lift the lid. Once every guest had their ramekins in front of them, the Sous Chefs simultaneously lifted the lids, and the smokey aroma assaulted our olfactory senses. The big reveal was this was a Smoked Prawn Ravioli drowned in a Double Prawn Consomme - "Prawnception", and garnished with a Green Pea Foam. Rina knows I'm not a big fan of shrimps, so the moment it was announced that it was a prawn dish, her eyes met mine and immediately darted to my ramekin.. Which was Rina speak for "Those Raviolis are MINE", which she indeed devoured. For the Cold Appetizer, we were served thinly sliced Smoked Salmon which was marinated in Red Wine, and topped with bits of Pan Fried Duck Liver,then sprinkled with bits of fresh Goat Cheese. Once again, Rina gave me that death stare, but I did manage to get a bit of a taste of the salmon and cheese before my plate was commandeered by my wife. The Ravioli of Boeuf Bourguignon on Roasted Bone Marrow, Parsley Garlic Butter Cream sauce is truly a sight to be hold. 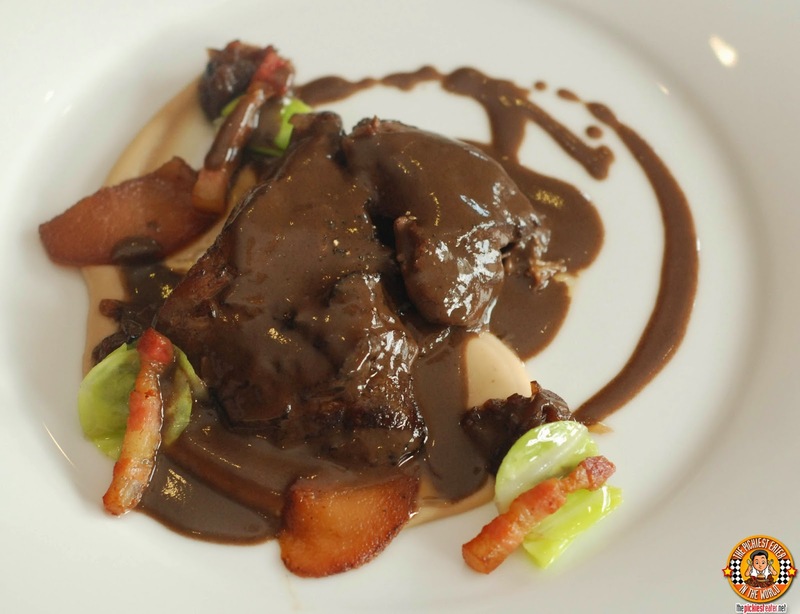 The dish was stunningly plated, with a fat ravioli filled with tender yet so flavorful Boeuf Bourguignon perched on top of a roasted bone marrow like some sort of a glutton's version of a Star on a glorious Christmas Tree. Your attendant then pours an aromatic beef broth over it, filling, blanketing the ravioli with even more pronounced flavor of the meatiness. 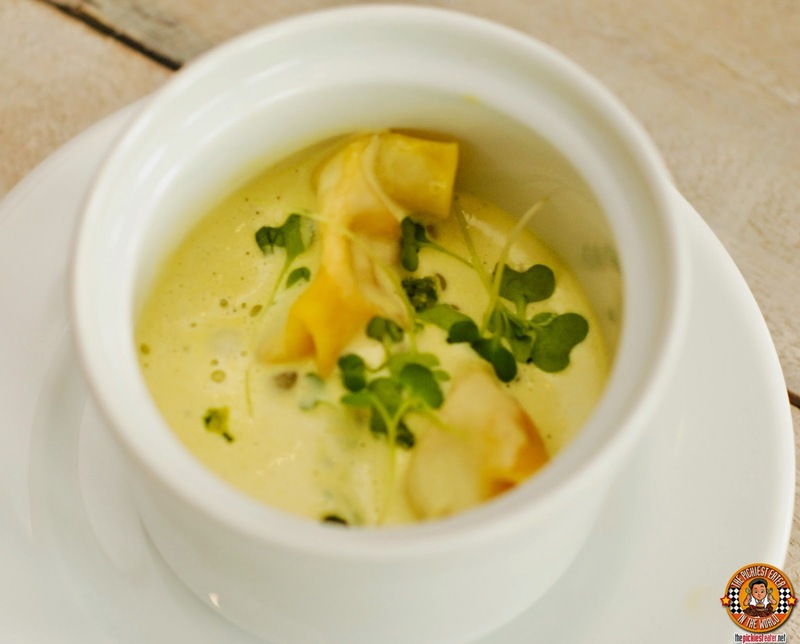 The broth mixes with the Parsley Butter Cream sauce to add another dimension of flavor. As delicious as that plump ravioli was, the star of this dish was the roasted bone marrow, which was cooked so beautifully it glistened in the light and almost brought tears to my eyes (Yes, food makes me cry). For our main entree, we had Chef Cyrille's ABSOLUTELY AMAZING Lamb Shoulder Confit. The beautifully cooked hunk of lamb was doused in Chef's Sauce Grand Veneur, and rested on a smearing of Chestnut puree, then topped with Red Onion Marmalade and Sauteed Cabbage. The final punch of this dish was the adding of Lardons, which is strips of fatty pork, which add a gentle touch of extra savoriness to the dish. I believe it is so named because the fat is so delicious, it was more than enough to give me a lard on. Then finally, it was time to try the reason we were in Brasserie Cicou in the first place. 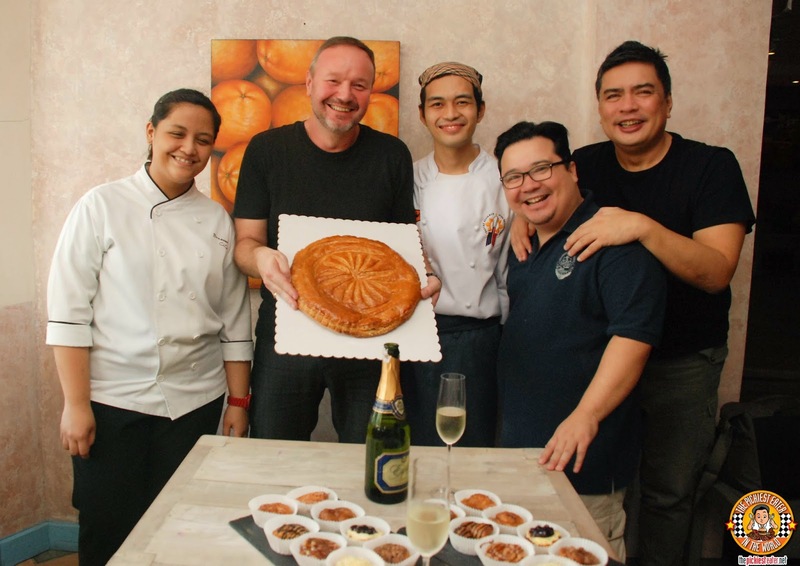 Brasserie Cicou brings to the Philippines a great French Tradition, by offering its customers the Gallette De Rois. 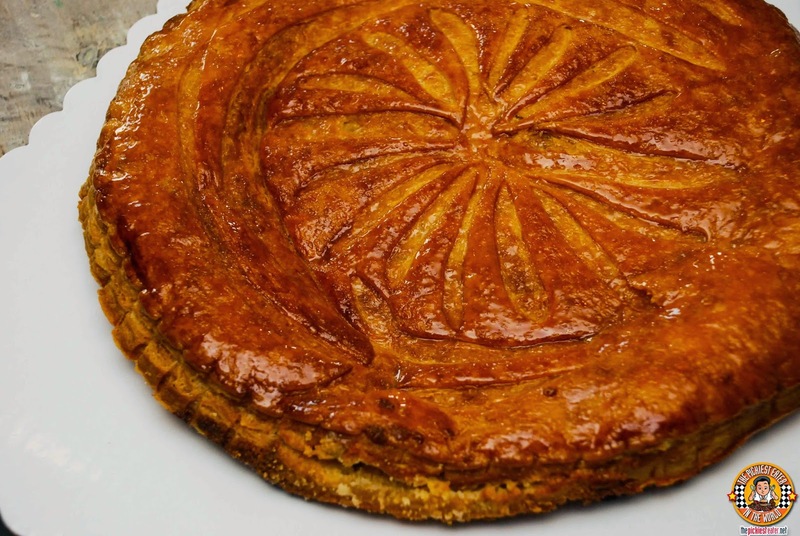 Translated into English as, "The King Cake", the Gallette De Rois is is made of puff pastry and almond cream, and is usually served during the holiday season, particularly in January. The cake is sliced and handed to each guest, who then digs in and trys to find the figurine. 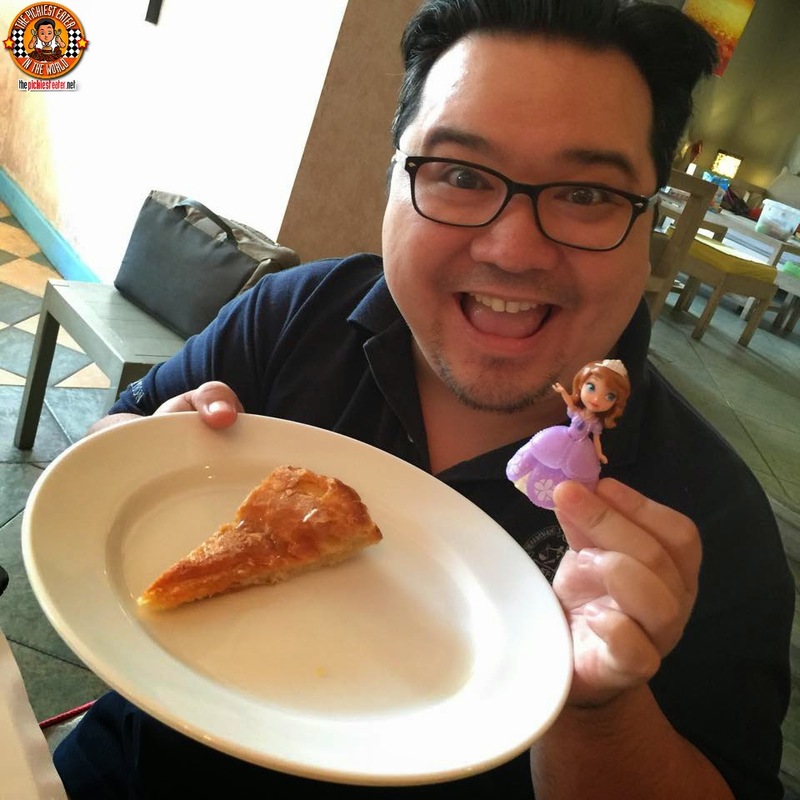 The person who finds the figurine in his or her slice is declared the "King of the Day" and may choose among his company his, "Queen for the day". (What happens next is up to them, I guess). I gotta say, this cake is incredible. It's light, and flakey, and has a nice crispiness to it, with the almond cream adding just the right touch of sweetness, at just the right moment. This was undoubtedly another winner from Chef Cyrille. It was so delicious, I almost go to the point where I didn't want to stop eating, Rina was worried that I had inadvertently eaten the figurine. I really wanted the "King for the day" crown, and I tried to convince them that I had won. 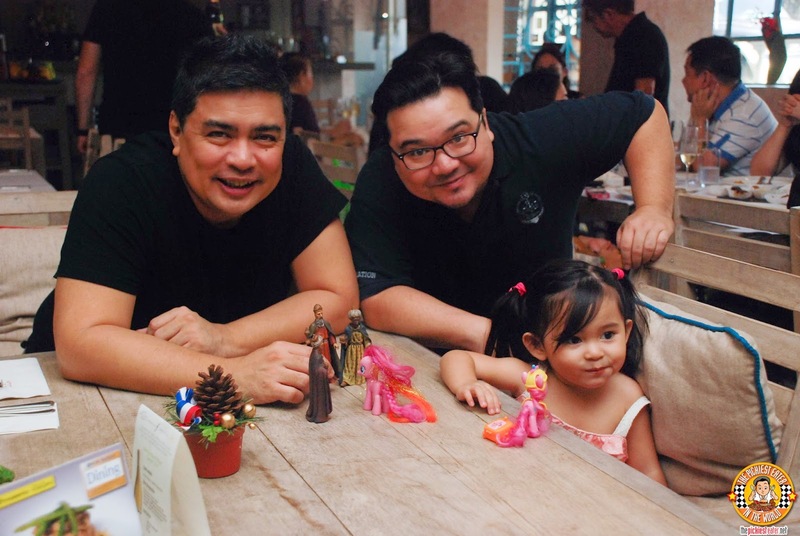 Unfortunately, after some research, the judges ruled that Sofia The First was NOT present during the Nativity scene, and I was hereby disqualified. 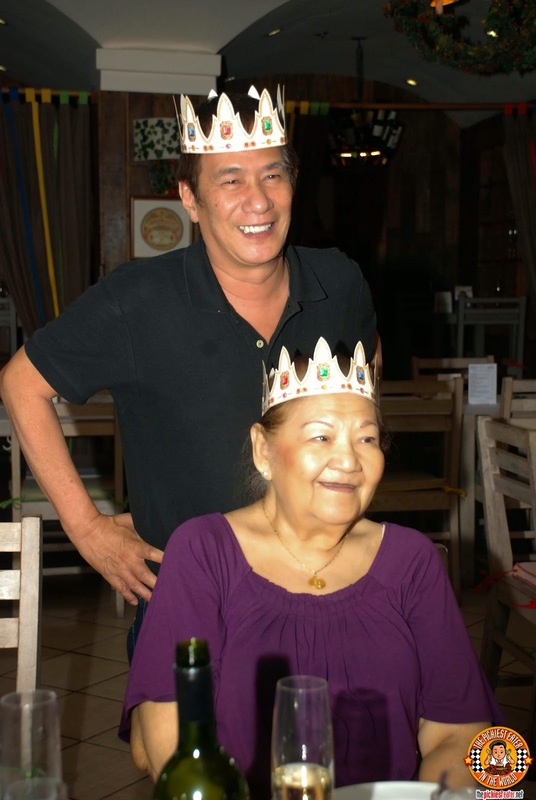 The real figurine was discovered in the slice of literary legend, Mr. Teddy Montelibano, who graciously declared our beloved "Tita Animo" as his "Queen for the Day"! He couldn't have chosen a better Queen! 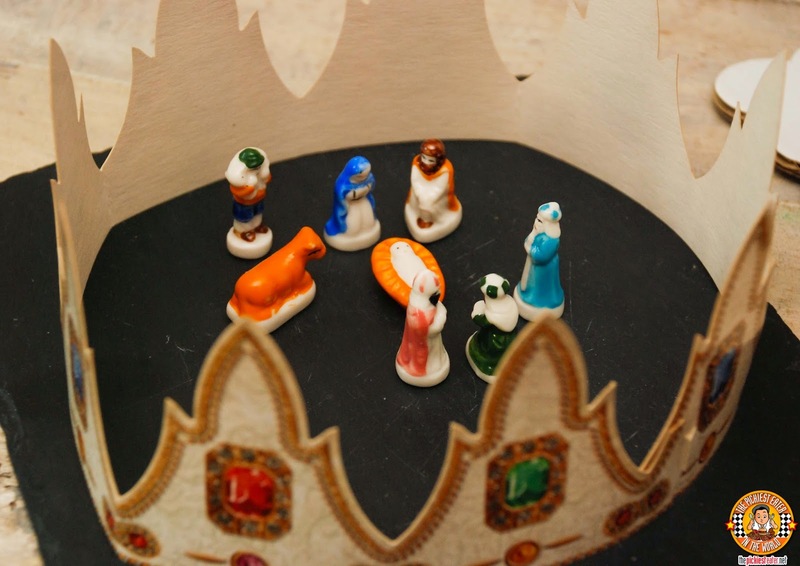 Our King Cake Lunch was a wonderfully fun way to cap off a remarkable 2014. Cyrille Soenen is truly a world class chef and it was an honor to try his excellent dishes! This meal got the resounding stamp of approval from The KTG! Expect more entries on Cicou soon, as I further delve into the exquisite world of the French cuisine! Haha Jane! thank you so much! love you and kap loads!